Bring some of the beautiful color and fragrance of your garden inside by creating fresh flower arrangements for your home. 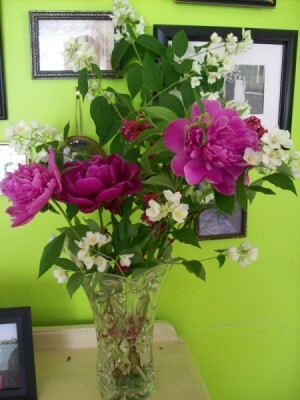 This is a guide contains tips for arranging flowers. How many times have you had too few flowers for a large vase or a lot of flowers that you just can't arrange to stay the way you want? To fix this problem, all you need to do is take a plastic paper sleeve, the ones that your daily paper is protected with. I save those for hundreds of uses, this is just one. With spring right around the corner, we will be cutting flowers and bringing them in for arranging. One thing that always presents a problem is the short stems on some of them. A way to get around that is to insert the stem into a straw, then cut the straw the length you need. To be sure your stem gets water, slit the straw up from the bottom an inch or so and make small V cutouts a time or two along the straw toward the bottom. Source: Real Simple magazine with a twist or two of my own. I like to arrange flowers in unusual containers, i.e. wooden boxes or ice coolers. To keep water from leaking or damaging the container, I use plastic bottles. I use a bread knife to cut off the top at the height needed. 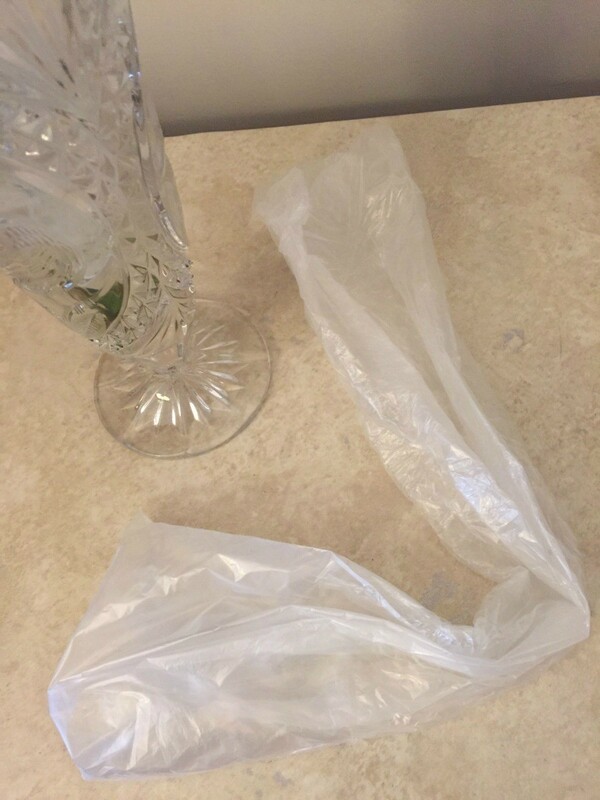 I also use these plastic liners in real vases to protect the finish against discoloration. It is a great way to recycle plastic bottles, which I seldom buy, but when I do I try to devise at least three uses before disposing of them. Because I live where the tap water is excellent, I fill bottles from tap and put in freezer or fridge for cool water. Daffodils produce a toxin that kills other cut flowers, so keep them separate when making flower arrangements. My husband is always complaining about finding little creatures walking on the table after I put out a vase of flowers. So now, what I do is, I let the vase sit outside for about 30 minutes before I bring it in. When you buy fresh flowers, save the clear cellophane. Use the flower feed, if it is powdered, add an eggcup full of boiling water to dissolve it then top up with cold water. I love fresh flowers and buy carnations every two weeks. Since I usually get two large sprays from Costco, there are a lot of stems to cut, and to throw away. I make silk flower arrangements. I have been asked to do a fresh flower wedding in August; is there a big difference? Huge difference! Fresh is much harder! It is hot in August and fresh flowers are very perishable. Roses that are buds when you start are opening and dying within hours so unless you have a cooler to store them in you have to get and arrange flowers the day of the wedding. You can not bend stems any way you like as you would with silks. 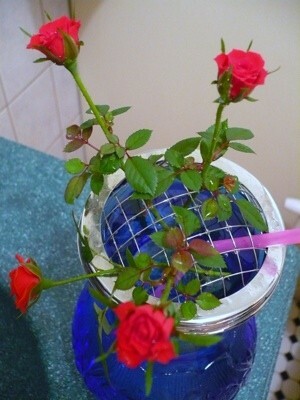 If you cut a fresh flower stem and it is too short, you are stuck with it and it is wasted. With a silk you can simply extend the wire stem by taping on a longer wire. Unless you have a wholesale source fresh flowers are expensive. You are also limited to the actual colors of the flowers. Don't forget that you will need oasis, waterproof containers, corsage and boutonniere bags and pins. Just FYI, Costco does sell special order arranged wedding flowers. Lindal is right. I am also a silk wedding flower provider. You also have to consider shipping costs, and most fresh flower arrangements can only be made up within 72 hours of the event. Refrigeration and changing out water is key. Plus you'll need floral foam versus styrofoam. It could be real headache. I don't take on fresh clients. I just don't have the needed staff and refrigeration to properly handle these types of request. I am looking for step by step instructions on how to make a fresh, silk and dried flower arrangements using the floral and dry foam. Also, where can I get supplies at a discount price? There are many used flower arranging books available at Amazon.com at a good price, or you might try your local library if you don't want to buy a book. I am a professional floral designer, and my advice is to shop at Wal-Mart for the best prices. You may have a floral wholesaler nearby, but generally they will not sell to anyone who does not have a retail license specifically designated for flowers, but it won't hurt to try. Hard to beat Wal-Mart prices, though. Good luck. Short-stemmed flowers or curvy stems are hard to put in a floral arrangement. What I do is cut the stem under cold water and at an angle with sharp scissors. 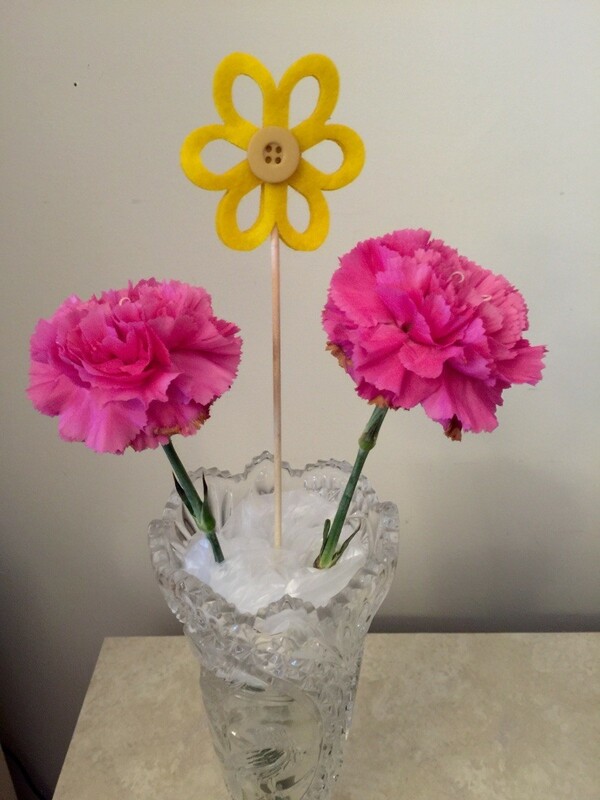 Next, put the stem into a plastic drinking straw and put into your own custom arrangement. VOILA! I save straws. 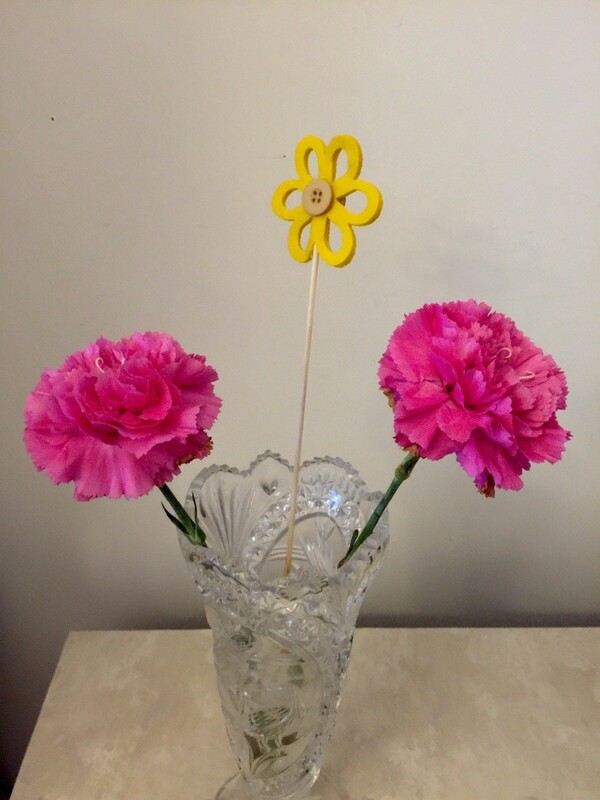 Silly, I know, but I use the skinny ones for thin stemmed flowers and the thicker straws for fatter stemed flowers and it works. Peonies, mock orange, and weigela compliment each other and create a bouquet with an old-fashioned look. Makes me smile whenever I look at this photo. This is a guide about making a floral arrangement. A lasting combination of fresh or dried, flowers and foliage, can add to the decor of any room.